“The Tyger” is a poem by the English poet William Blake published in 1794 as part of the Songs of Experience collection. Twinkl’s PowerPoint is a great resource to use when teaching it as it has a complete literacy unit, which incorporates poetry and persuasive writing. 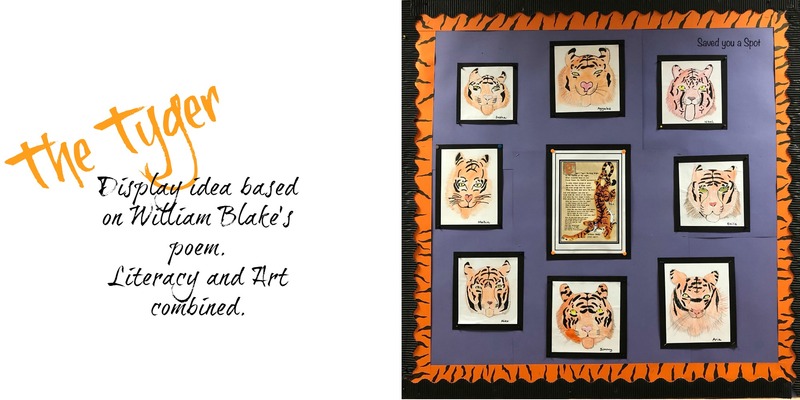 As William Blake was not only a poet but an artist too, the children brought the tiger to life after an in-depth discussion of their impressions of the poem. 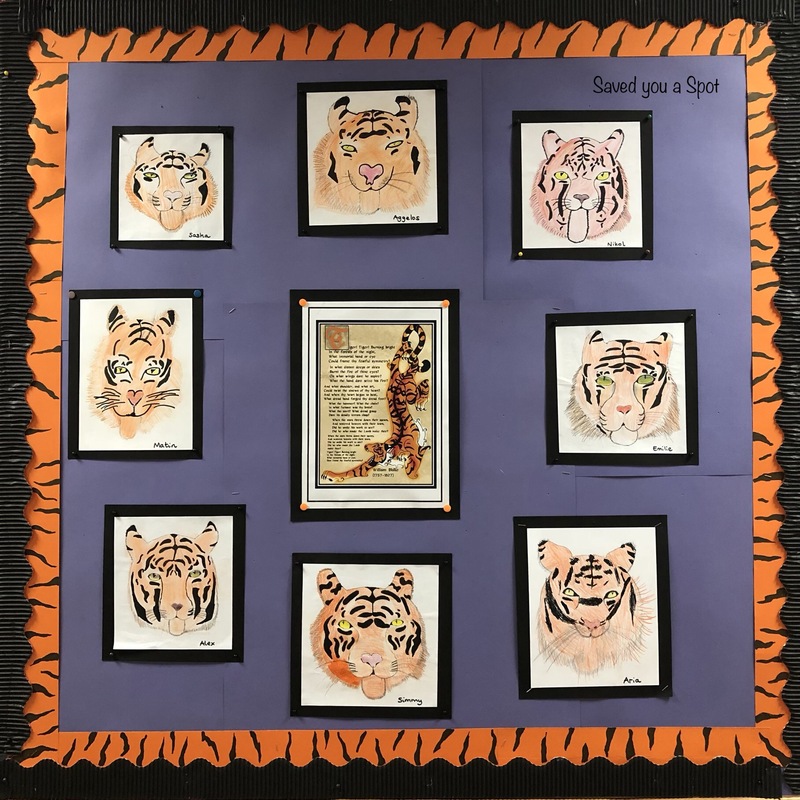 We used Harriet Muller’s YouTube video and created some magnificent pieces of artwork! TOP TIP: When displaying children’s work, go for an eye-catching border to make it pop! Brilliant! I loved the artwork- well done! Thanks! Yes, the kids did a great job, so proud of them!